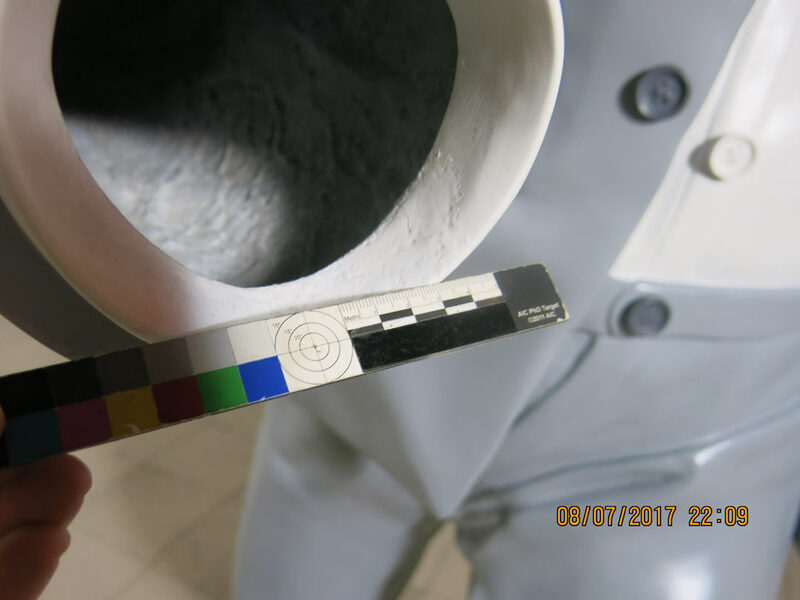 RLA was called in to conserve the painted finish of this outdoor sculpture when it was received with bubbled areas of paint and small losses. 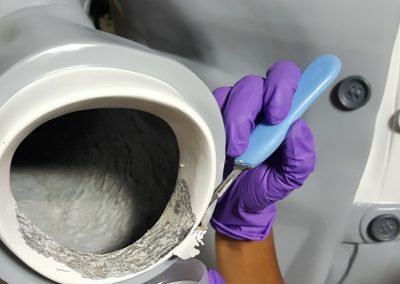 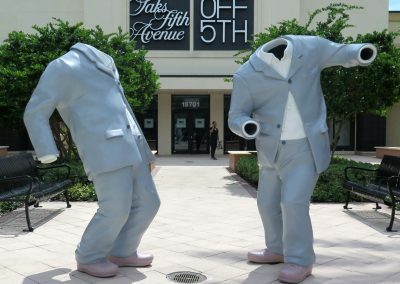 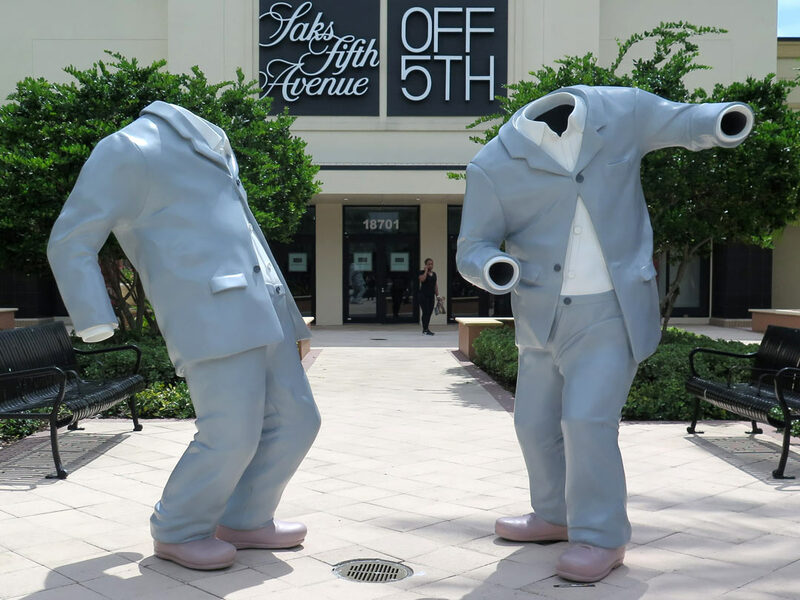 The figures had areas of detaching paint and aluminum corrosion. 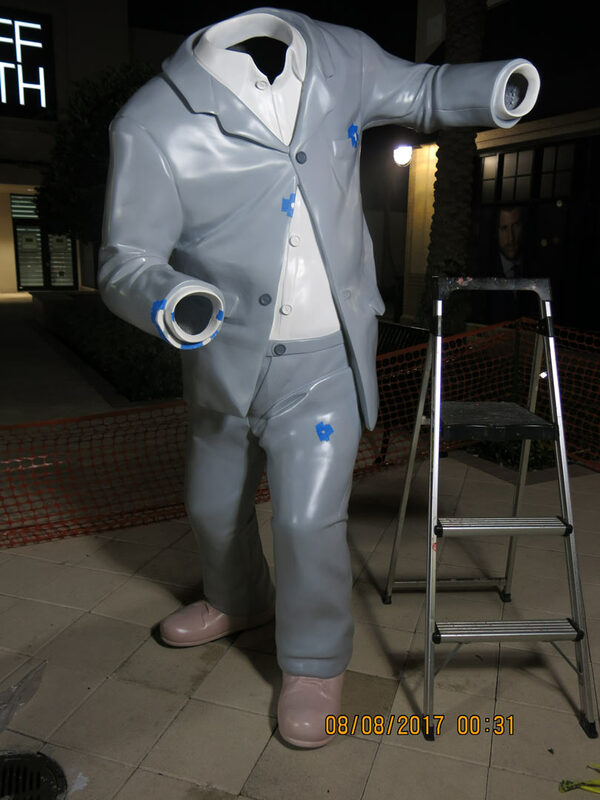 There was concern about the public’s interaction with the sculpture and how it would affect the paint layer. 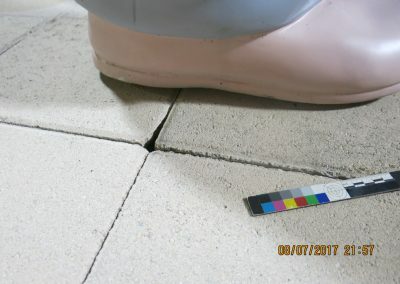 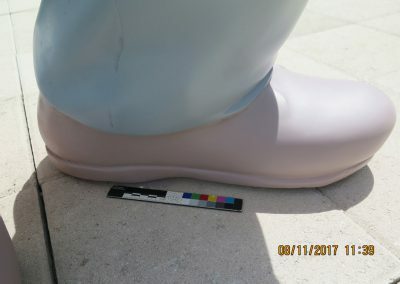 At the time of inspection and treatment, shoe prints were noted on the shoes and on the jacket, indicating that viewers had attempted to climb the sculpture. 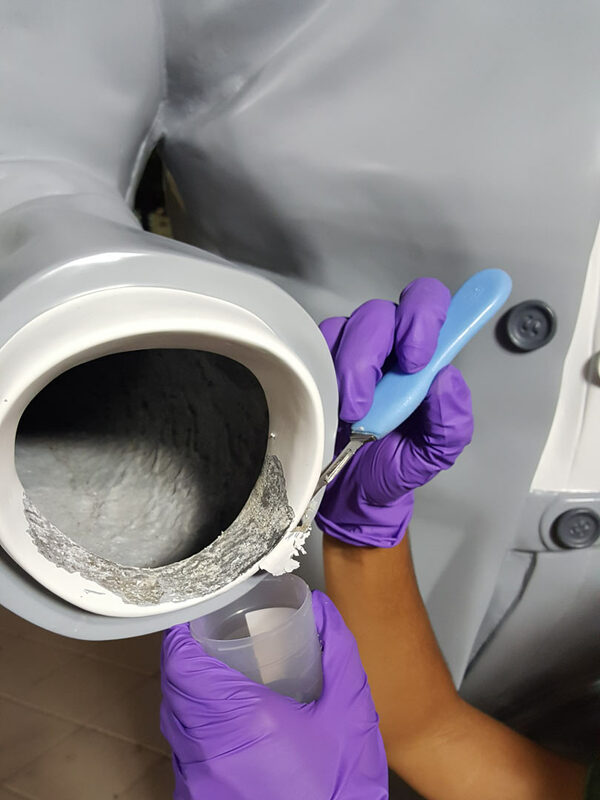 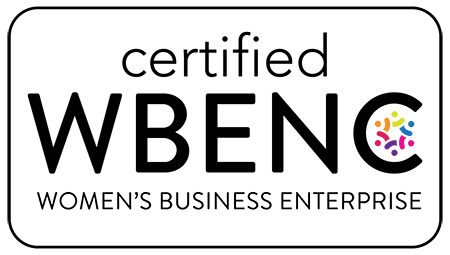 RLA worked with the artist’s gallery to obtain original paints and devise a treatment plan. We removed raised areas of paint, prepared the finish, filled losses and used the artist’s original paint to airbrush perfect spot repairs on the outdoor sculpture. 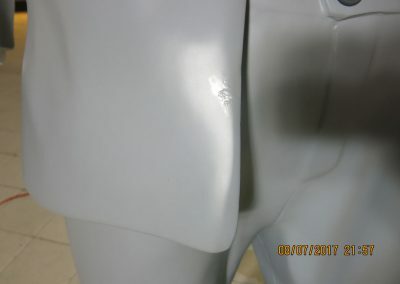 We protected the finish with a wax coating and regularly maintain and monitor the work.